Our Miami office has been at the forefront of the South Florida political scene since the early 1990s. In that time, we have served clients in a broad array of industries, giving us a unique breadth of experience that allows us to craft unique solutions for each individual client we serve. We have proudly served some of the most recognizable South Florida organizations and events, including the Miami Dolphins and Ultra Music Festival and more. Each year, over 165,000 people from around the globe gather in Bayfront park to attend Ultra Music Festival, making it the biggest electronic music festival in the world. In 2014, Floridian Partners was hired by Ultra to ward off an effort by Miami’s mayor and other elected officials to terminate Ultra’s event agreement and remove their festival from its Bayfront Park location. In order to keep Ultra Music Festival at Bayfront Park, it was important for Floridian Partners to change the public conversation from event mishaps to community benefits. By deploying a massive media relations strategy which emphasized the enormous economic benefits received by local hotels and businesses in Miami, in addition to the worldwide exposure the festival brings to the Miami grand, Floridian was effectively able to inform both elected officials and those they represent of the importance of keeping the festival in downtown Miami’s majestic Bayfront Park. Floridian also coordinated a downtown merchants campaign showing support for the festival, while also spearheading the strategic effort to both legally and procedurally block the termination of Ultra’s agreement with Bayfront Park. 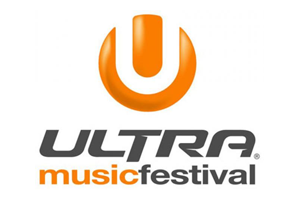 After months of working on behalf of Ultra, the media relations strategy campaign had successfully banded together enough supporters of the festival so that elected officials were fully aware of the public’s sentiment towards keeping the festival. In the end, the city commission voted to maintain the status quo by keeping the festival at Bayfront Park, where it still is today. In June of 2014, The Miami Dolphins unveiled what is now a $500 million modernization of Hard Rock Stadium. These renovations to the stadium were intended to modernize the venue more suitable to attract world class events like Super Bowls, College Football Playoff Games, Soccer events, concerts, and more. In working with The Miami Dolphin’s front office, Floridian Partners was able to help the organization successfully navigate through the negotiation process in order to secure this innovative, first-of-its-kind agreement. In order to secure funding for a stadium modernization, Floridian felt that it was important to engage in negotiations at both the State and Local level. At the State level, Floridian successfully worked to secure partial public funding at the new stadium in the form of tax rebates. Locally, Floridian spearheaded the effort to negotiate a first-of-its-kind “Marquee Event Grant Agreement” between the organization and the City of Miami. This grant agreement will provide the organization with cash payments over the next 25 years for hosting marquee events that have been shown to have a positive economic impact for Miami-Dade County. The agreement provides the Dolphins with a revenue stream that will help finance the modernization of Hark Rock Stadium. As of this writing, The Miami Dolphins have successfully completed their modernization project, and Hard Rock Stadium is now considered to be one of the premier sporting venues in the country. Floridian Partners is proud to continue serving the Miami Dolphins on all matters concerning Miami-Dade county.